According to this report, though the United States has a long history of bitter and contentious presidential elections, the world community could always rely on the American’s conducting free and fair elections without interference from their powerful, and very secret, intelligence agencies—and that thus marked the US as being a reliable partner in the conducting of vital global affairs. With the rise to US presidential power of New York City multi-billionaire real estate developer Donald Trump, however, this report notes, America’s powerful state intelligence apparatus, for the first time in its history, obliterated the US Constitution and all US laws in order to destroy presidential candidate Trump—and whose “device” to do so was described by the FBI’s Deputy Assistant Director of the Counterintelligence Division Peter Strzok as “The Insurance Policy”—but known today as the “Trump-Russia Dossier”. 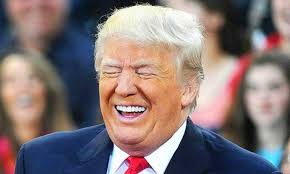 The creation of “The Insurance Policy” to destroy Donald Trump, this report explains, was as comically stupid as it was insidious—and involved British MI6 operative Christopher Steele being illegally paid millions-of-dollars by Hillary Clinton and her Democratic National Committee to create what is known as the “Trump-Russia Dossier”—with Steele being aided in this effort by one of the Russian turncoat spies he had once recruited named Sergei Skripal—but with Skripal, and his daughter Yulia, being “taken out” after MI6 discovered that he had written to President Putin asking to be allowed to come back home to Russia. Upon the completion of “Trump-Russia Dossier Insurance Policy” by MI6 operative Christopher Steele, this report continues, it was given to CIA Director John Brennan—who then recruited the notorious CIA-MI6 operative Stefan Halper to lure Trump campaign volunteer George Papadopoulos to London—with Halper paying $3,000 to Papadopoulos for a research paper, and that, also, covered the cost of his room, board, and flight to London. 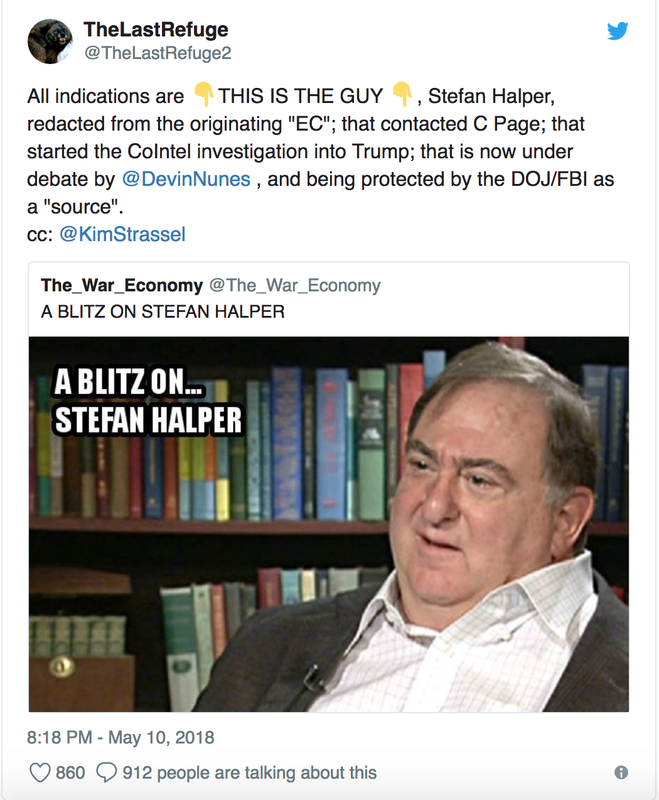 Next to be ensnared by CIA-MI6 operative Stefan Halper, this report notes, was another Trump campaign volunteer named Carter Page—whom, like Papadopoulos before him, was lured to London by Halper. Once he had the “Trump-Russia Dossier Insurance Policy”, and whatever lies were concocted by CIA-MI6 operative Stefan Halper, this report explains, CIA Director Brennan couldn’t use them as the CIA is forbidden to interfere in US domestic affairs—but with the workaround being having US Senator John McCain take “The Insurance Policy” from the CIA and give it to FBI Director James Comey—that the FBI had to admit they couldn’t verify any of its spurious claims—but didn’t stop them from shockingly using this information to become the first US intelligence agency to obtain a warrant to spy on the presidential campaign in all of history. With the “Trump-Russia Dossier Insurance Policy” having failed to keep Trump from winning the US presidency, this report continues, any rationally thinking state intelligence agency would have buried everything about this sordid plot so far down it would never see the light of day, particularly because of how rapidly it could be exposed—but that, of course, didn’t happen because of the insane hatred everyone in power in the US had because of their now having to deal with President Donald Trump. 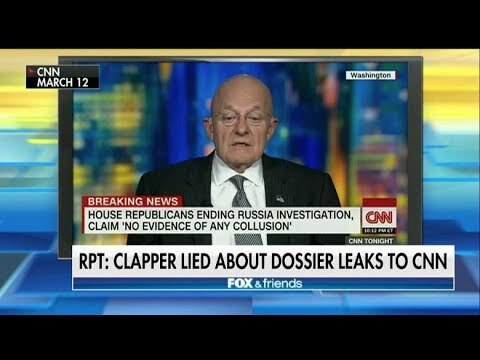 So, and in one of the most ill conceived and transparent coup plots ever devised, this report details, Director of National Intelligence James Clapper (who oversaw both the FBI and CIA) ordered FBI Director Comey to “brief” the newly elected President Trump about the existence of the “Trump-Russia Dossier Insurance Policy”—with Clapper, immediately afterwards, “leaking” this information to the “fake news” cable television media giant CNN, thus giving them the “hook” to call it “real news”—and for which Clapper was handsomely rewarded when CNN hired him for millions-of-dollars. However, what DNI Clapper, FBI Director Comey and CIA Director Brennan failed to realize when they unleashed the “Trump-Russia Dossier Insurance Policy” against President Trump in retribution for his daring to defeat Hillary Clinton, this report says, was that the most vulnerable flaw in any intelligence operation are the operatives involved in it—most particularly in this case being CIA-MI6 operative Stefan Halper. 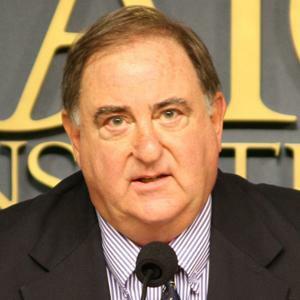 In anyone ever attempting to create in writing a description of what a “Deep State” operative would be like, this report explains, they’d be best not to even try and, instead, just describe the life of Stefan Halper—who, upon his graduation from an Ivy League university, traveled to London to get a Ph.D. at Cambridge, then returned to the United States where he was quickly hired by the President Nixon administration—married the daughter of one of the CIA’s most feared high-ranking directors—over the past nearly 50 years has worked in every single branch and department of the US government—ran a CIA covert operation to discredit former President Jimmy Carter—became an operative for the British intelligence agency MI6—and in his spare time, created a private bank used by the President Ronald Reagan administration to funnel money to both Iran and Central American terrorists (called Contras) trying to illegally overthrow the government of Nicaragua. 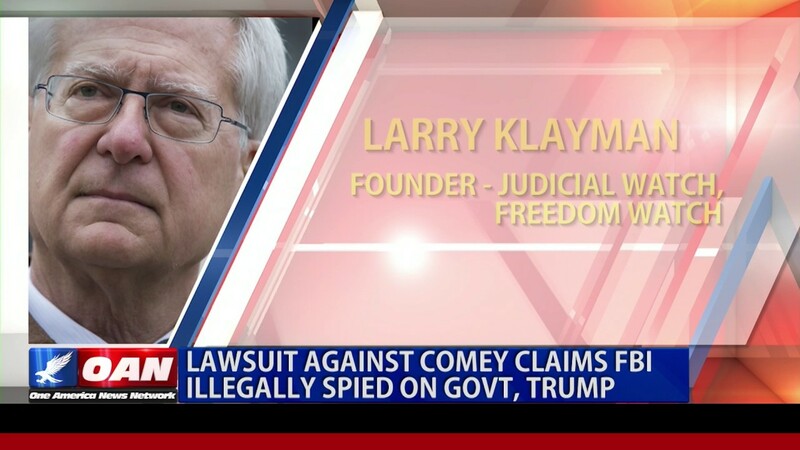 On 27 January 2017, seven days after President Trump took his oath of office, this report continues, FBI Director Comey had his agents interview George Papadopoulos—which immediately exposed CIA-I6 operative Stefan Halper as being a spy (mole) secretly placed into Trump’s campaign, that even a novice intelligence agent could follow the trail of—and though the “Deep State” is working feverishly to keep this fact hidden from the American public, the truest reporting coming from the US states that “the Obama State department, CIA, and FBI conspired to set "Russian espionage traps" for minor players in the Trump campaign, and the FBI had a mole within the Trump campaign, that giant sucking sound you might hear is nothing short of the US Intelligence community starting to implode”. “It's worse than expected,” seems to be the consistent theme. May 12, 2018 © EU and US all rights reserved. Permission to use this report in its entirety is granted under the condition it is linked back to its original source at WhatDoesItMean.Com. Freebase content licensed under CC-BY and GFDL.